Ayurveda is a 5,000 year old system of natural healing which originated in the Vedic culture of India. Turmeric (Curcuma Longa) has been used for centuries by Ayurvedic & Chinese medical professionals as medicine for the treatment of inflammatory disorders. The active ingredient in turmeric is called “Curcumin”, an amazing natural compound from the root of the Turmeric plant. In its raw state turmeric only contains 2-5% curcumin. Curcumin is responsible for the biological activity of turmeric which in recent years has come increasingly under scientific spot light and has been extensively researched due to its medical properties. Curcumin is a powerful antioxidant. Antioxidants scavenge molecules in the body known as free radicals, which damage cell membranes, tamper with DNA, and even cause cell death. Antioxidants can fight free radicals and may reduce or even help prevent some of the damage they cause providing cellular protection. In addition, Curcumin is well known for its potent anti-inflammatory properties as it inhibits enzymes in the body that cause inflammation. Modern science is now showing, Curcumin Turmeric extract is an outstanding example of the concept that foods can powerfully support the body’s healing processes. This ‘Sacred Spice of Life’ has profound medicinal benefits that can make a huge difference in one’s health and longevity. SANITA’s Curcumin by nature is a high potency Curcumin which is a clinically researched patented ingredient utilising an advanced technology and is 46x better absorbed in the body than standard curcumin. This ensures that you are getting the most that this ancient root has to offer. 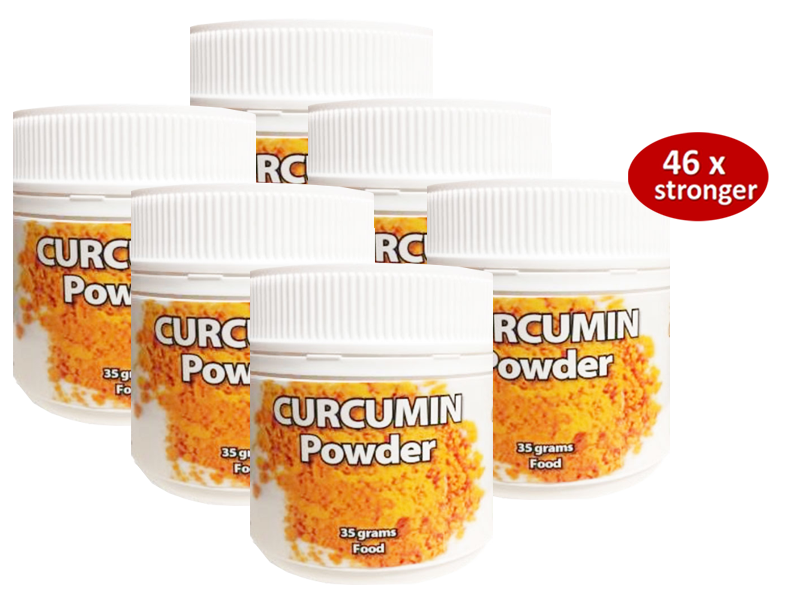 CurcuWIN™ is 46 x better absorbed than Standard 95% Curcumin. *Jager et al (2014) Comparative absorption of curcumin formulations, Nutrition Journal, 13:11. In a well-controlled human clinical trial—the first study of its kind comparing commercial standard and enhanced curcumin products—CurcuWIN™ increased relative absorption of total curcuminoids 46 x over standard curcumin. And CurcuWIN™ was significantly more bioavailable than other enhanced forms. CurcuWIN™ is manufactured utilising UltraSOL™ technology, a molecular dispersion process that enhances the solubility and bioavailability of lipophilic compounds and poorly absorbed nutrients to develop a highly bioavailable Curcumin. UltraSOL™ is a proprietary to protect and enhance absorption of curcuminoids, making them more soluble and longer-lasting delivering quality and more curcuminoids than other curcumin products. Add to warm water or almond milk or milk of your choice. Curcumin Turmeric extract is an outstanding example of the concept that foods can powerfully support the body’s healing processes. This ‘Sacred Spice of Life’ has profound medicinal benefits that can make a huge difference in one’s health and longevity.